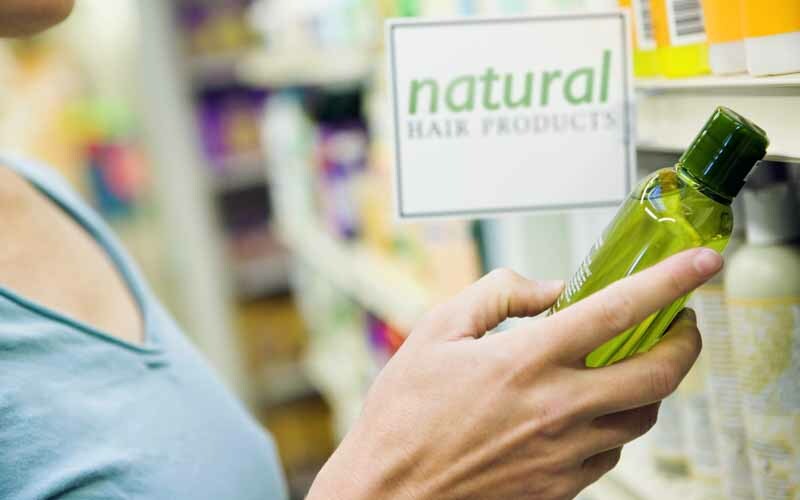 We live in a world where companies use terms like “natural,” “botanical,” “pure,” and “free” when their products are actually full of harmful chemicals. These companies spend millions on slick advertising campaigns to get you to buy their products—stacking the deck against you, the consumer. Many beauty corporations are beginning to realize more people are looking for products that are natural and safe, but few are actually delivering on their packaging’s promises. To find truly safe products, here are four game-winning strategies that can put the odds back in your favor. 1. Never succumb to pretty labels or alluring advertising. Brands use phrases like “no parabens,” “no dyes,” and “fragrance free” emblazoned on packaging to catch the attention and dollars of unsuspecting customers looking for safer products. Don’t just look at the pretty logos and claims on the front, though. Turn over your bottle or tube and READ THE FULL INGREDIENTS LABEL; it’s all about the ingredients. 2. Learn the names of harmful ingredients. Brands make big claims about one or several natural ingredients and hope customers won’t notice the “nasties” that are added along with them. Beat them at their game by becoming an ingredient detective. See how far down the list those natural ingredients are, and what else is really in there. If “green tea extract” is the 25th ingredient on the list after a slew of six-syllable chemicals you can’t pronounce, you probably shouldn’t purchase the product. In addition, if you see the word “fragrance” or “parfum” know that they can legally hide untold numbers of chemicals there. 3. Don’t buy something just because a celebrity endorses it. Companies pay huge sums to celebrities (especially those perceived as ecofriendly) to hawk their products. This doesn’t necessarily mean that the products are healthy or natural, or that the sponsor even uses them. 4. Know who owns your favorite natural brands. Brands simply buy “market share” by purchasing other brands, often changing formulations and introducing new ones. The majors are scooping up many brands you want to trust: Burt’s Bees sold to Clorox, Tom’s of Maine sold to Colgate, Mrs. Meyers is now in the hands of SC Johnson. The natural market is just still only 10 to 15 percent, but it’s growing fast, and it’s often easier for large corporations to buy up that 10 percent than to create truly natural products. Be a smart consumer and know who owns your favorite brands. To learn more and look up the ingredients in your favorite brands, visit the Environmental Working Group’s Skin Deep Cosmetics Database or check out Ava’s Ingredients to Avoid List. 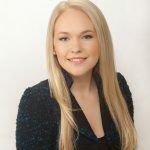 At the age of 15, Ava Anderson launched her own line of personal-care and home-cleaning products, Ava Anderson Non-Toxic. Now an undergrad, Ava is educating hundreds of thousands of American families annually on the issue of toxic chemicals in personal care products through her line, which now includes baby, skin, face, hair, body, scents, bugs, candles, home, sun, and pet products. At Babson College in Wellesley, Massachusetts, Ava actively helps run her multimillion-dollar empire with 30 full-time employees. Her goal is to help force a paradigm shift on the issue of toxic chemicals in products. Thank you so much for all the great tips Ava & for offering safe alternatives! Love your company & your passion and your honesty! I hope other companies will wake up & follow your lead. This article is very informative and helpful to consumers, especially those that think they are making healthier choices, but are actually being deceived by marketing scams. Great tips, as always, Ava! I love how you always make this information so easy to understand! This issue can be so overwhelming, and having approachable steps for implementing change is so appreciated! Thanks for all your information. But there’s one thing I just don’t understand. WHY would companies like Tom’s of Maine and the others mentioned, sell out to such awful corporations?? Are they just old and want to retire, or are they forced to sell out because of the stockholders?? I just can’t understand why they would be so untrue to what they believe in, seems like something else must be making them sell their company to the devil. Do you have any idea of why this is happening? Thanks again for the information – I had NO idea that those companies were owned by corporations I boycott. Great article and great information! Thank goodness for honest, transparent companies like Ava Anderson who are committed to providing safe products! I am so grateful for being alerted to greenwashing. I’m so relieved I don’t have to worry about this with Ava Anderson Non Toxic products! The ingredients attest to high quality of the products! Excellent article! The more people become aware, the more they will make safer choices, the more companies will take notice and begin to change the way they do things, in spite of any labeling laws, or legislature (we hope). Thank you for your continued passion in taking this message to consumers. this site is really pleasant and the visitors are genuinely sharing nice thoughts.